Gulfport Towing Service and Roadside Assistance provides all range of roadside services, including lockout service. We’re always working hard to improve the breadth of our services and their quality, as well as the speed of our deployment. Our lockout service is available 24 hours a day, so no matter where you are in Gulfport or what time it is, we can help. Don’t waste any time in calling us so we can get you back in your vehicle ASAP. While you call us and wait, please keep in mind your safety. It’s the number one important thing right now. 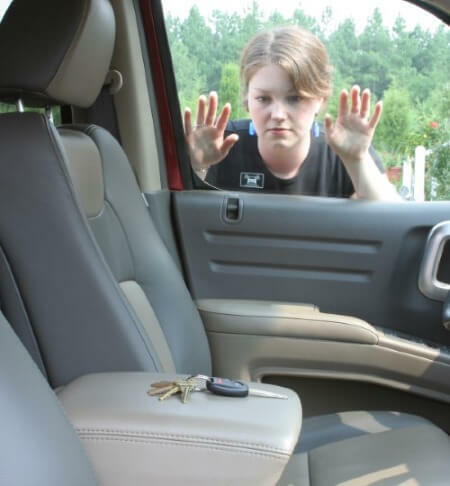 If you’re locked out of your vehicle and it’s dark, move to a lit and populated location where you feel safe. Make sure to keep us updated on your location. If you can’t do that, then call the local Gulfport Police Department at (228) 868-5900 and request an officer’s presence. Once our roadside assistance and lockout service pro arrives, he’ll make sure you’re back in your vehicle and on your way again safe and sound. For all your lockout service needs, call us at 228-222-8686 (just click to dial if you’re on a mobile device).